Thank you for visiting the Clayton Police Department’s presence on the World Wide Web. The men and women of the department are ready to assist you at any time, providing high quality police service to the community. We hope that you find our web site useful and informative. Whether you are doing research or looking for a job, I believe you will find the information you need.. Please visit often as we will be updating this site on a regular basis. We are proud of the service we deliver. We also recognize the need for feedback to insure our services remain the best in the state. This is why I am dedicated to improving communication with the public we serve. This site is one step toward that goal. I encourage you to visit our various pages to learn more about our department and how we serve you. 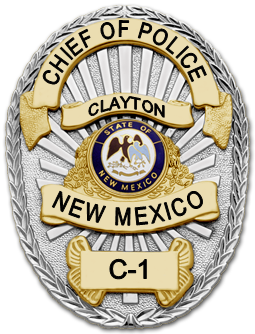 As your Chief of Police, I am committed to accountability at all levels, respect and honest communication with the community, and a desire to work with members of the public to enhance the quality of life that makes the Town of Clayton such a unique place to live, work, and visit.